A public notice has revealed SpaceX plan to begin Starship Hopper tests tomorrow. The tests will involve short “hops” that will allow the company to validate key systems that will be used on the full-scale Starship vehicle. The public notice posted by Cameron County notified residents of the closure of Highway 4 leading to Boca Chica Beach due to “spaceflight activities”. The closures are expected to run from 10:00 to 16:00 on Wednesday, Thursday and Friday. The launch window for today was abandoned due to weather conditions with SpaceX representatives revealing that the next attempt would be made tomorrow. 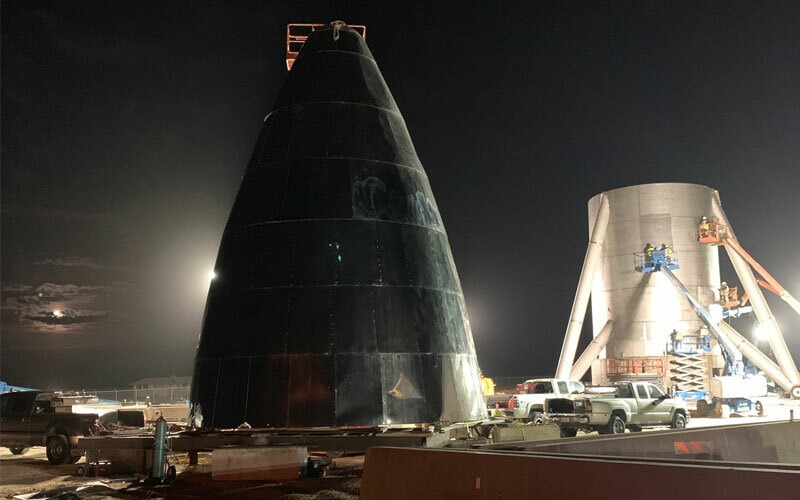 While responding to questions from Twitter users, SpaceX founder and CEO Elon Musk revealed several details about what is planned for early Hopper tests. The initial tests will feature a single Raptor engine powering the test vehicle for very short hops. Initial hop tests will be tethered and will likely be at heights imperceptible to onlookers. Following the short hop test, an additional two Raptor engines will be installed to power the test vehicle during suborbital test flights. It is, as of yet unclear when SpaceX plans to move to the suborbital test flights.